MANILA, Philippines - Seven-year old kid from Isabela Kenshley Abad sang Luther Vandross' hit “Dance With My Father” in the Father's Day episode of ABS-CBN's top-rating and Twitter-trending singing reality show 'The Voice Kids' Philippines Season 2 on Sunday, June 21, 2015. 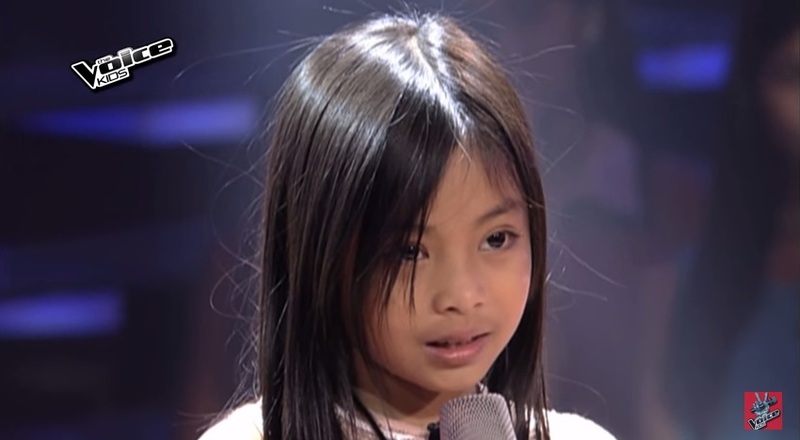 Kenshley Abad performed a song dedicated to the father she never met. Coach Sarah made a last minute turn for her. “Kenshley, alam mo, nung narinig kitang kumanta, para akong ano eh nakarating sa langit. Para kang anghel na kumakanta,” Coach Sarah tells her. As in the first season, each coach must complete 18 kiddie artists for their teams by the end of the Blind Auditions. The continuation of the pilot episode of 'The Voice Kids' Season 2 dominates online conversations with '#TVK2FathersDay' among the trending topics nationwide and worldwide.